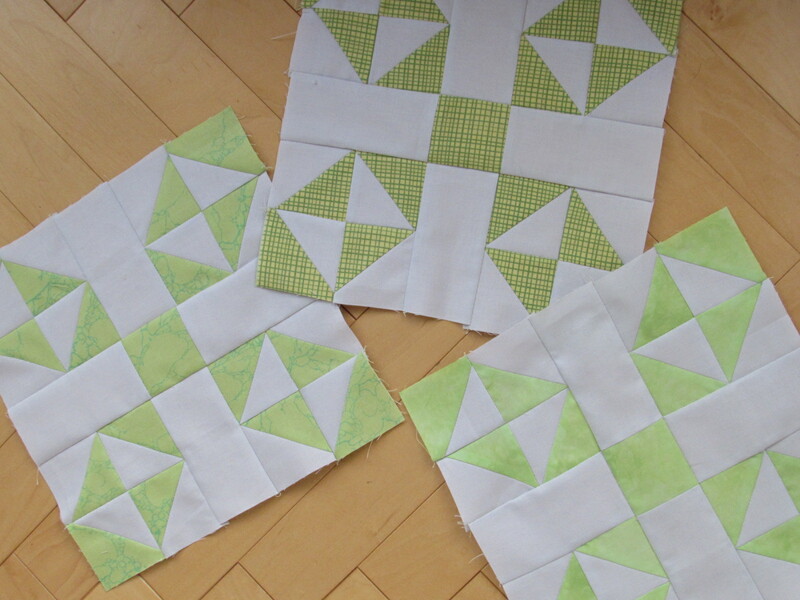 Oh, those green blocks are so pretty! I don’t get the name either, but they sure are fun. So glad you are back to feeling good again! Thank you Wendy. Have a great Friday!!! Bernie, you are so kind. 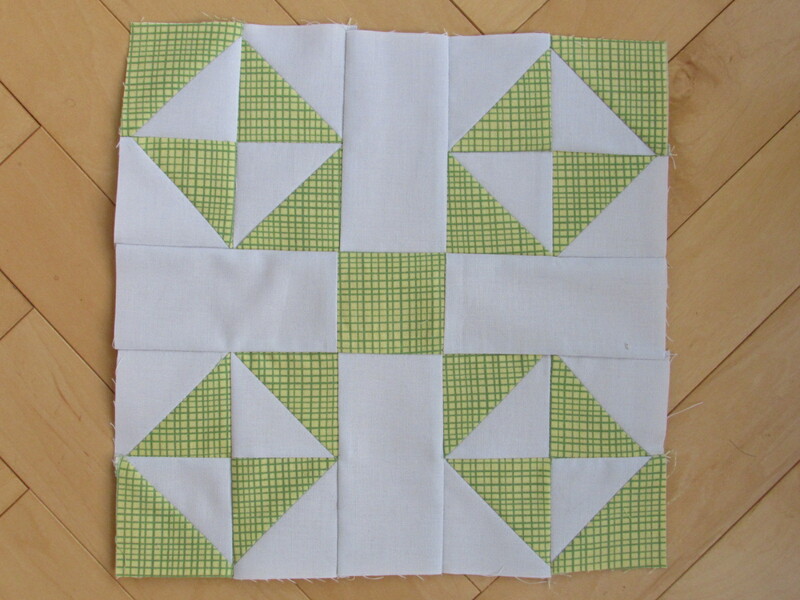 You know I love doing the quilt alongs and tutorials. Your blocks look great! I love the idea of the random stars. Wait until you add some yellow to the RSC blocks–it’s magic! Have a lovely weekend. I’m going to be needing the recipe for those medicinal cookies, by the way! I know you love it and that is a lucky thing for us! But it is time consuming. I know you spend a great deal of time working out the math, taking the photos etc. So I just needed to thank you for that. 🙂 I will pull yellow pieces this weekend. But I need to finish a few things first to clear a work space in my cluttered sewing room! All of your RSC projects are so pretty! Funny how we all have a surplus of some color scraps and a lack of others. 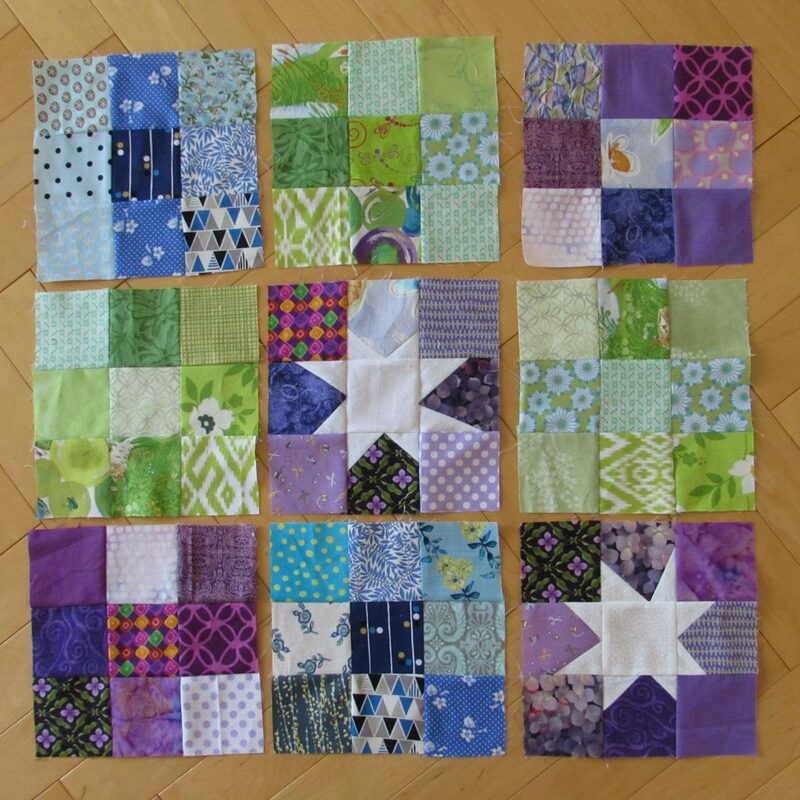 I have been looking ahead to other colors and know that some later in the year might be a problem—to the point of thinking I might need to do some bigger projects of those colors to generate scraps—except that I think that violates the spirit of RSC somehow. 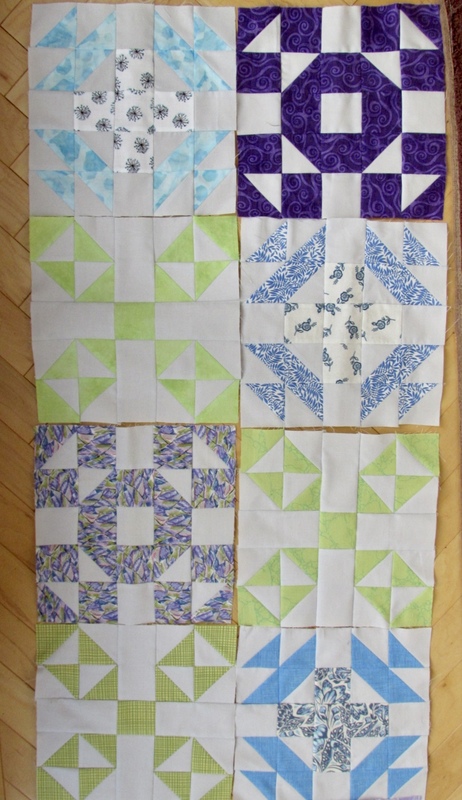 I love how your RSC blocks are coming together and agree those stars make it pop. I’m so glad you are feeling better. BTW my mouth watered seeing your cookies on IG – lol! Hi Bernie Popping in as I can! So glad you are feeling better! And all your blocks are looking so good! 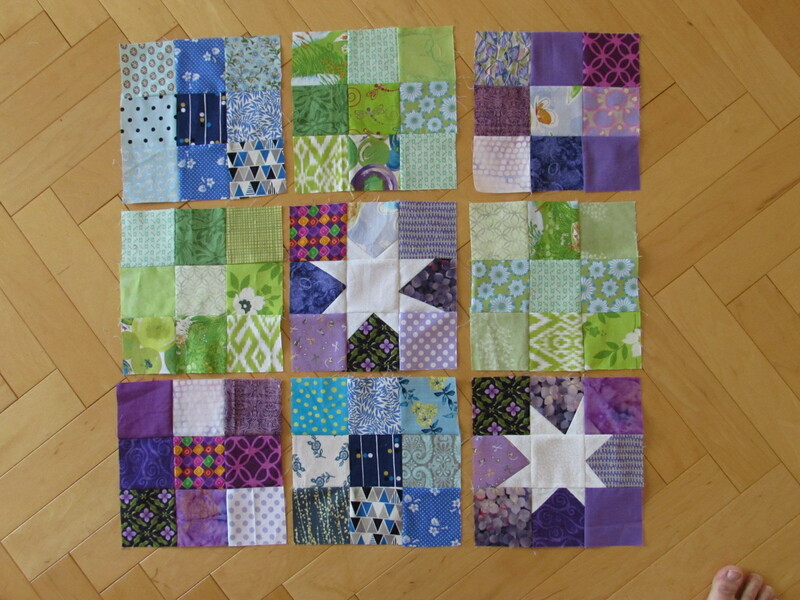 I had so hoped to join in with Mari’s quilt along, but as it is turning out, my timing just isn’t there for now! xo! Hi Sarah, there are ALWAYS more projects than time. So, we pick and choose and just enjoy what we can. Sometimes it is (almost) as fun watching someones progress as it is joining in – certainly less messy and expensive! The blocks look great. Love the colours. Glad to hear you’re feeling better. I’m like that too with usually remembering where I got a fabric! 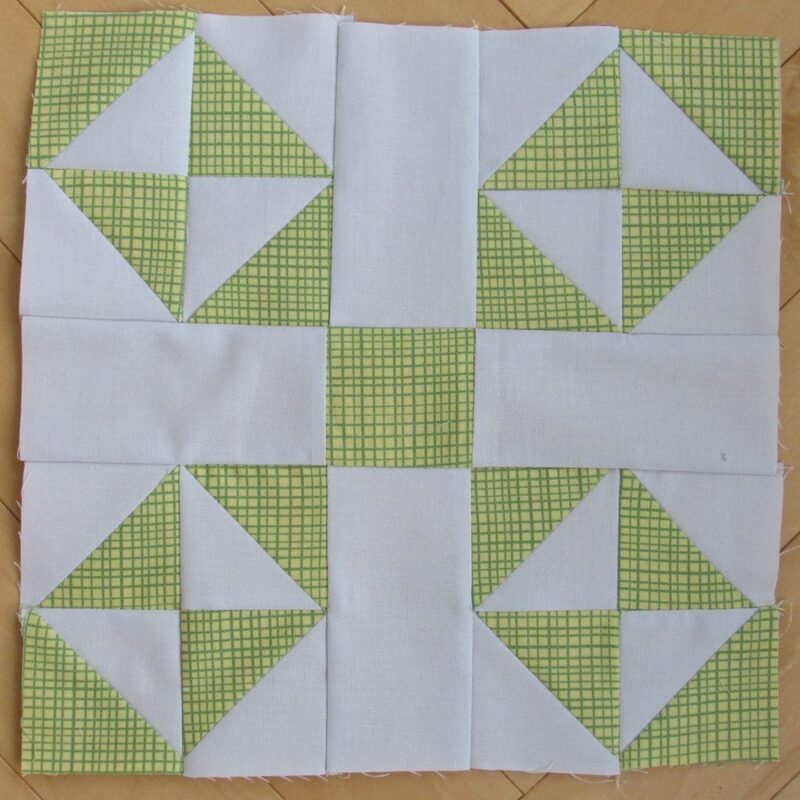 Oh those wonky stars are perfection amongst the 9-patches! 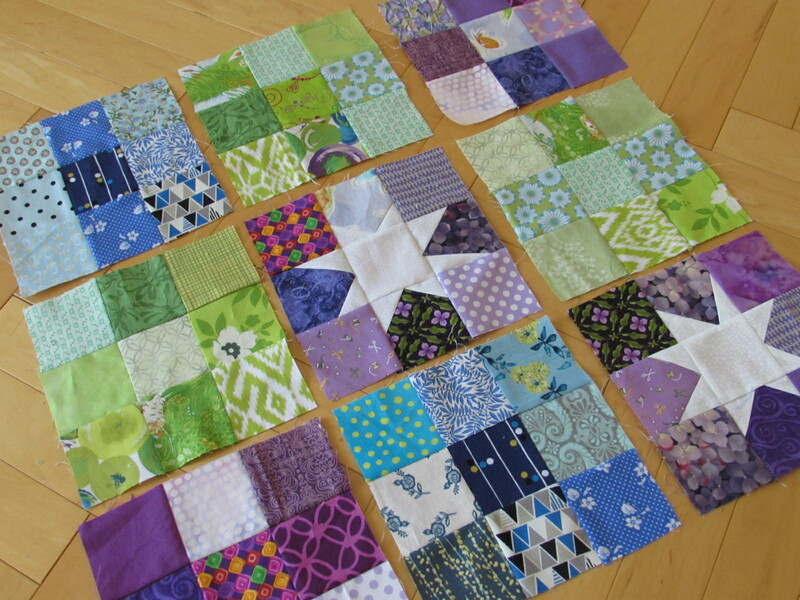 I might have to keep that in mind…FORCING myself to only do one RSC this year, (Mari’s is soooo tempting) but it’s hard because there are so many scraps!!! Glad you’re feeling better.